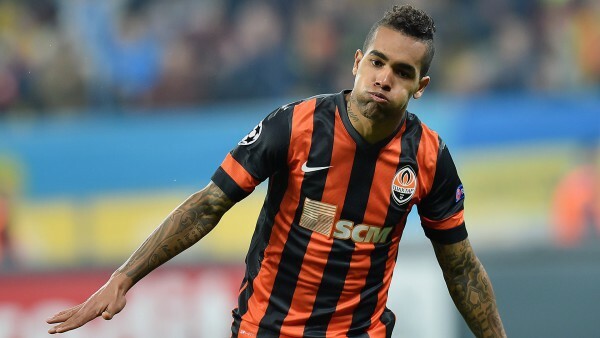 Arguably the best player in the Ukrainian League thus far this season, Chelsea have been told to pay £30 million for the services of Brazil born attacking midfielder, Alex Texeira, per Evening Standard. The former Vasco Da Gama midfielder has lighten his career with his very impressive performance this season that has seen him become the top scorer of the Ukrainian League even as a midfielder. Chelsea have been shambolic this season in almost all their matches and are left with the option of rooting for players in the transfer market that can save their season. The strikers of Chelsea and midfielder has been dismal in all their cameos this season – the three strikers of Chelsea have scored three goals in the League and continuously look impotent in front of goal. To compound the problem of Chelsea, their most valuable player Eden Hazard has lost form also, failing to score this season so far. Willian has been the saviour of the Blues with his inch-perfect free kicks. Texeira plays high up the pitch for Shakhtar as a midfielder but is main goal threat for the Ukrainian side. He has scored 21 goals in 20 appearances for Shakhtar this term. Meanwhile, he revealed last month that he may join Chelsea in January.